"At the top of the Artadi hierarchy is this limited production cuvees. 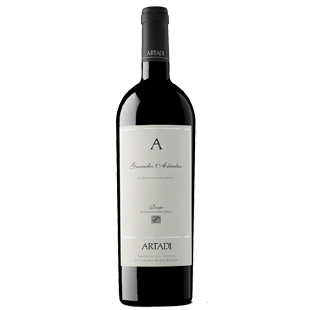 Grandes Anadas is a majestic, ageworthy Rioja that may well be the single greatest wine made in that appellation. The 1998 Grandes Anades (100% Tempranillo from 70-100-year old vines) has only been made twice in the last seven years, 1994 and 1998. It is tannic and highly extracted, with lots of body. It is a broodingly backward, formidable wine with amazing concentration, purity, and overall balance. Long and concentrated, with a 40-50-second finish, it requires 3-4 years of cellaring and should evolve gracefully for three decades. This is a classic, yet singular expression of Rioja the likes of which can be found nowhere else in that viticultural area."